Media PRO Web - SEO Galway | Quality SEO company in Galway. Media PRO Web – SEO Galway is an leading SEO Company in Galway. We offer dedicated search engine optimization (SEO) and web design services to help you rank higher, over your competition. We have a team of highly qualified and skilled search engine specialists who are certified in Google AdWords and ISO standards providing a wide range of services in order to generate higher visitor traffic to your website. This ensures that your website gets higher rankings on the search engine pages. You want to be the first in Google’s search results? Do not jump steps. 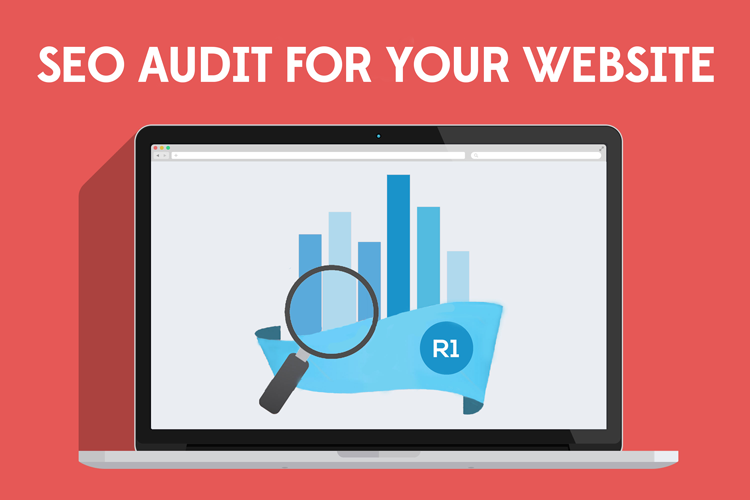 First order your website Audit. We need to know what to do first. In this process we will learn about your current website state, from code quality to searchability. You get a professional review and analysis of your website, including its content and inbound links. We recommend this service before you start any optimization campaign for your website. Most SEO experts recommend a detailed SEO audit at least twice a year. When you want to invest in SEO, it is important to have a deep analysis of your website. Order now this product and we will give you the best strategy that will increase the number of targeted visitors for your website. This will improve visibility of your site and it will help you choose which keywords to target, increase search engine rankings and get many other things. Our system developed here is working flawless. We are giving our customers only manual back-links. There is no robot or automated process involved in our work. We have 3 complete SEO Services available. We also have standalone products to top up your link building strategies. Used them as they are the strongest and the most “risk free” techniques ever used in SEO. We have used it on many companies and boosted them to Google’s No. 1 Position. Our Opportunity Analysis and Competitive Research services ensure that you find profitable opportunities related to your product or service niche. Our experts in SEO Galway‘s office undertake effective competitive research to ensure that your internet marketing campaigns receive the much needed stimulus to achieve higher sales and more profit. Our SEO services are result-oriented and designed to provide you with greater ROI. In addition to SEO we also provide Web Design services nationwide through our sister company, Media PRO Web Design Galway. Never underestimate the effectiveness of search engines since they drive all customer traffic to your website. This means if you are not listed properly on the major search engines, you are allowing your competition to make more money at your expense. If you want to increase the flow of customer traffic to your website and improve the overall sales, then the best way to do it is to make use of a well-planned and effective SEO strategy. Most probably you are reading this because you found us amongst the top rankings on Google. Let us do the same for you. Our affordable SEO packages are designed to make your online presence unique through providing you combined packages for various SEO services. SEO Galway has packages you can choose as per your budget and requirements. Our Professional SEO packages are designed to provide you with the best of our search engine marketing services at the most competitive rates. We are the most innovative SEO Company in Galway. We have the lowest rates in our niche. We can use our Internet Marketing techniques to get you on the first page of Google and other search engines. We can get you listed in all the important internet directories that are relevant to your niche. Our expertise and know-how will earn you more money from your on-line operations. We will promote your business in such a way that you will get more enquiries from people who may have been out of your campaign reach until now. Online Marketing is changing drastically. We constantly adapt and update our techniques to ensure you stay ahead of your competition. You can’t afford to get left behind – Trust Us! 4 distinct departments – all working for you. Onsite SEO optimization is an essential component of on-line success. Your website will not rank high unless it “speaks the same language” as the search engines. Your code needs to be clean, elegant and properly structured so search engines can understand what the website’s about and index it properly. Media PRO – SEO Galway makes sure the requirements are met. Search engine robots cannot just “glance” at your page and give your website top position because it “looks nice” – they have to deconstruct the code first. Luckily for you we speak the same language as the search engines and know how to get your website where it needs to be – high in the rankings and making you money! We poses the skills to make websites with unprecedented look and feel. We code wise, design responsibly. Quality comes first when using our services. It is important when getting a website to make sure that is done by someone who knows and love searches. Only websites built with SEO in mind can make it to the first page of Google. Your online marketing strategy must be in tune with the website build architecture. Then search for a search engine optimization department that loves searches, such as our SEO Galway unit. Get started the right way! If your website was not build with SEO in mind, it is much cheaper to ask as to redesign it before attempting to optimize it. In the last couple of years, websites are getting more traffic from mobile devices, such as tablets, phones and other screen readers. The more organic traffic you will get the better the rankings. Our SEO Agency is backed by one of the most powerful web design agencies in Galway: Media PRO Web Design. Please let us know if we can help you. We cover everything. We strive to offer the best SEO in Galway city. The only search engine that matters really at the moment is Google. If everything is done right, then all pieces of the puzzle will fall into place. However there is a big wrong assumption by most people that search engine optimization is something easy to do. Most would say that is just a matter of meta tags and links. That is completely wrong because that would mean Google is easy to trick, which is not. In fact is impossible. Trust us. The Google algorithms cannot be tricked at all therefore SEO is not as easy as it was in the early 2000. The brains behind the searches at Google have made searches better, so that more and more relevant searches appear at the top of the search lists. Not so much those with thousands of links. Quality of links is essential. These days to get at the top of Google you need quality content which will directly result in more engaged readers. Engaged readers are easier to transform into regular customers. When someone is more interested in the relevancy of your content they will also be more inclined to chose your products or services.